It always makes me chuckle when a client that has never installed a door believes that ” A Door Is Just A Door Right?” “It should be a breeze and shouldn’t take long at all.” I am here to tell you, yes it should be a breeze but in a lot of cases, it’s not that simple. This door install was a challenge but at the end of the day, it got done with fantastic results! 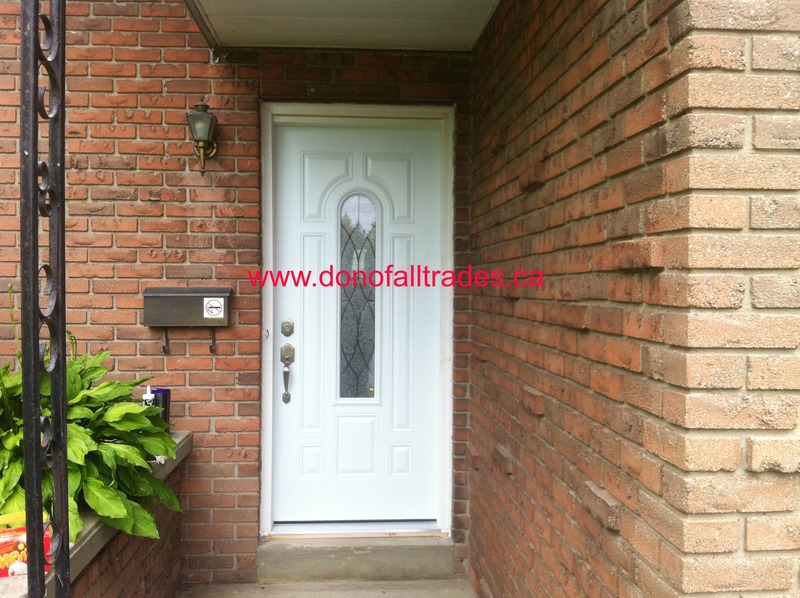 For this project, the original front door including the storm door and brick molding was removed. 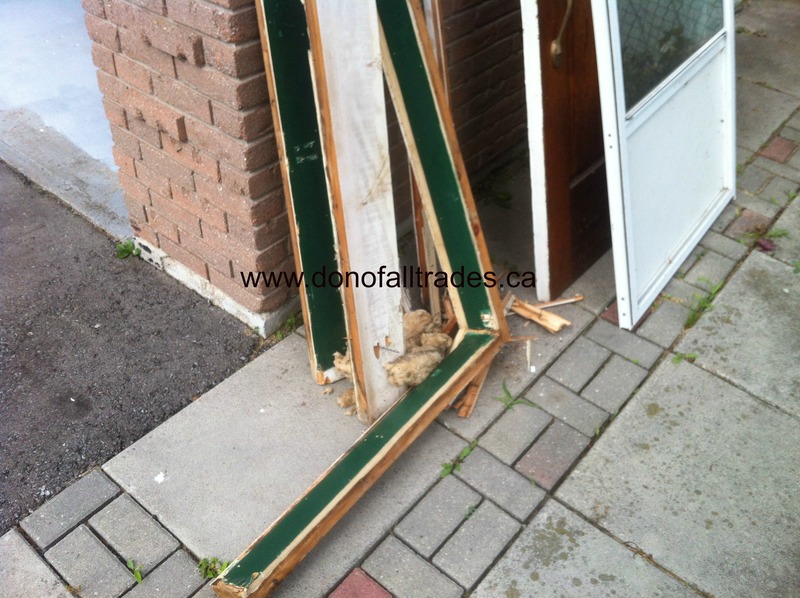 The original framing around the door was also removed because the home owner ordered a new door with brick to brick measurement’s . Interesting fact: when the homeowner originally took measurements for the new door, what he received was a brand new beautiful front door that was 3 1/2 inches too short. 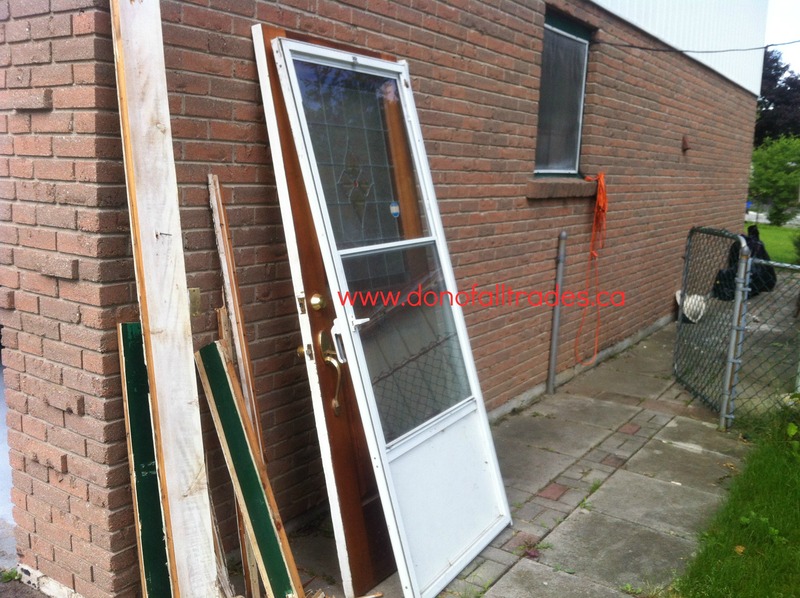 Tip: If you’re thinking of replacing a door in your home and you feel uncomfortable about taking the measurements, have the installer come and take them for you. In most cases this cost is included in the purchase price of the door. This saves you TIME, MONEY and AGRIVATION. So here’s a perfect example of trouble shooting skills that saves the day. Due to the fact the door was 3 1/2 inches to short, we had to build out the frame to make it fit. The new door was put in the opening and shimmed in order for it to stay in place. Next we leveled and plumed the door making sure that it was square. Once this part of the process was completed, we then moved forward with installing all the hardware and did a test by opening and closing the door to make sure it worked correctly. Next step, we installed the brick molding on the exterior of the door. 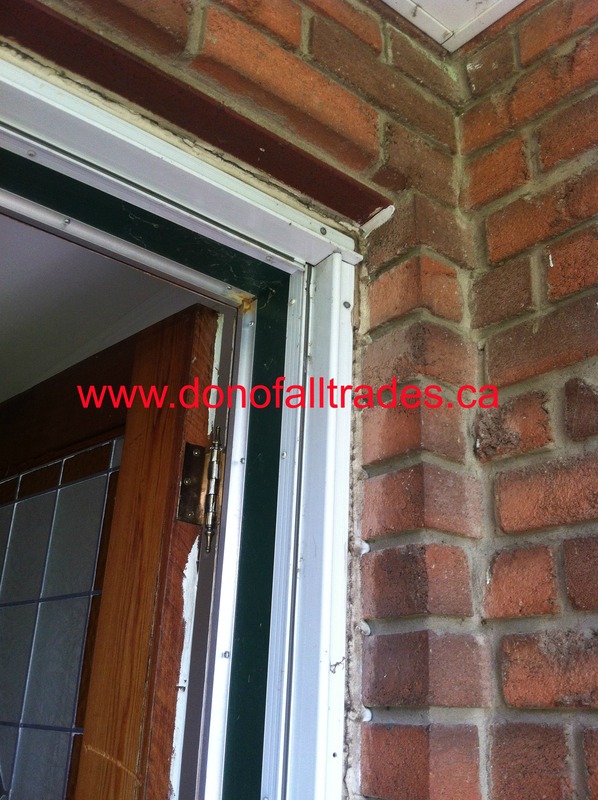 Exterior caulk was added and applied all around the brick mold and checking that all gaps were properly sealed. In this case, we didn’t have to apply the low expansion spray foam or interior and the homeowner was going to do this part himself.